Prior to the war, Reg worked as a carpenter. His father, F.C Bodimeade was a baker in Crown Street Wollongong. 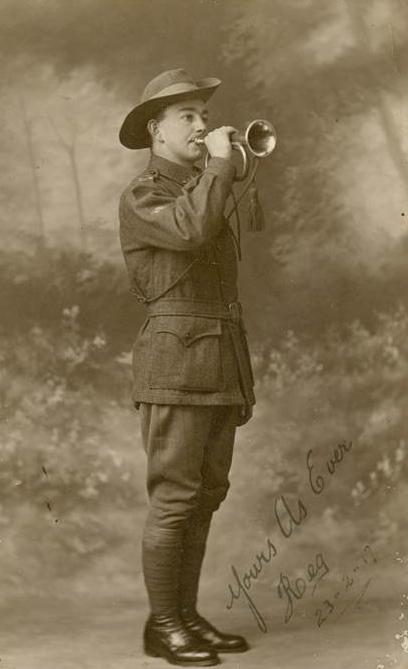 When Reg enlisted on 7 July 1915, he was only 15 (almost 16) years of age; his service records state that he was 18. He enlisted with his 19 year old brother, Gavin. He returned to Australia on 20 April, 1919. According to family, he did not smoke, drink or gamble due to a death bed vow to his mother.